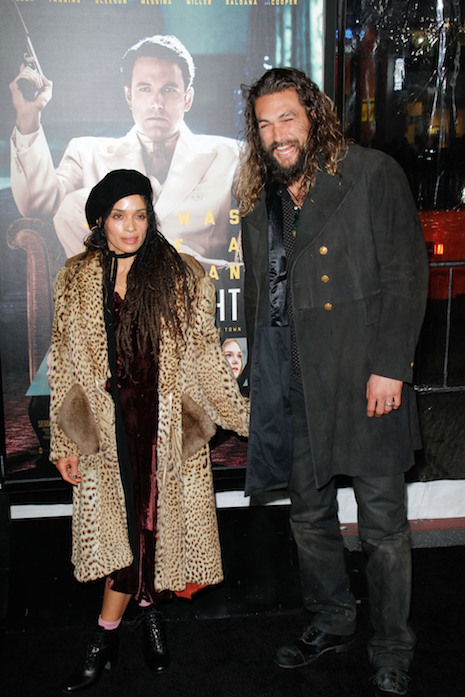 Lisa Bonet, 49, and Jason Momoa, 37, are one of our all-time favorite Hollywood couples. Ten years and two kids later and Game of Thrones star Jason can’t keep his hands off his tiny wife. (He’s 6’4” and she’s 5’2”.) He is easily one of the hottest guys in Hollywood – even with that hairy face – but she never has to worry. He talks lovingly about her in every interview he does. Before Jason, Lisa was married to Lenny Kravitz and they had daughter Zoe. She’s had a charmed life. Is Blac Chyna Trying To Steal Nicki Minaj’s Life?